(IPS) – Rural organisations in Latin America are working on defining their own concept of feminism, one that takes into account alternative economic models as well as their own concerns and viewpoints, which are not always in line with those of women in urban areas. Until recently, feminism was an alien concept for her. But like so many other women farmers around Latin America, she is now a leader in the battles in her province against the spread of monoculture soy production and the displacement of small farmers. Defining rural feminism is not an easy task for the Latin American Coordinating Committee of Rural Organisations (CLOC)-Via Campesina, which is holding its sixth congress Apr. 10-17 in Ezeiza, a district on the outskirts of Buenos Aires. But its members see it as more than just a question of gender equality. 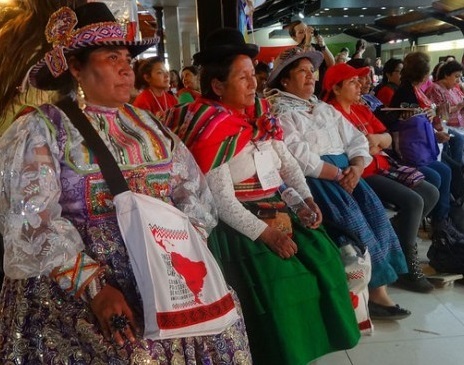 Strengthening feminism in the rural sphere was one focus of debate in the Fifth Continent-wide Assembly of Rural Women, held during CLOC’s congress, which drew 400 delegates from 18 Latin American and Caribbean nations and ended Apr. 14. The term “feminism” scares many rural women, said Rilma Román, a delegate of Cuba’s National Association of Small Farmers and one of the members of the coordinating committee of the international peasant movement Via Campesina, where half of the leaders are women, she noted. Carrizo said some aspects have to be explained, such as the question of sexual diversity. “It used to be very uncommon to find transvestites revealing themselves in rural communities. There was a lot of self-repression and repression, and there still is. “It’s really hard for older people to understand that there are people with different sexual orientations. We’re gradually seeing how to address the issue and how to encourage them to accept it,” she said. 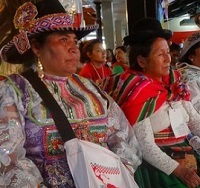 The fifth assembly of rural women recognises feminism’s “historic contribution.” But in their critique of “capitalism,” which according to Carrizo causes exploitation – including gender exploitation – they focus on agrarian reform, the dispute against giant agribusiness corporations, the concentration of land ownership and water use rights, agribusiness and the mining industry, where both men and women are marginalised and excluded. 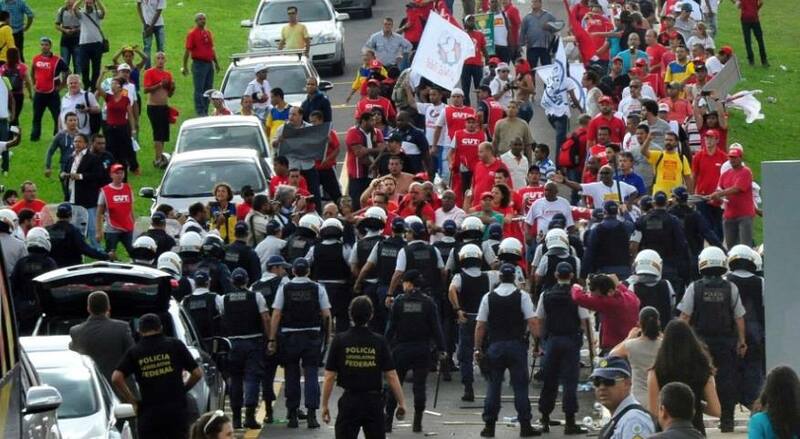 However, Marina dos Santos, of Brazil’s Landless Workers Movement (MST), said women, especially in rural areas, have always been excluded the most. And they are also marginalised by public policies in the areas of health and education, she told IPS. Women are also excluded when it comes to land titling or access to credit in rural areas. “Women work the most but they are the last to have access to land and are exploited more as cheap labour. The rural exodus means men increasingly go to other parts of the country to work, and the women are left to support their families,” Santos said. “Land first goes to men. We women who are heads of households, who have no husbands, don’t stand a chance because we need to have a man as a reference,” added Luzdari Molina, with Colombia’s Federación Nacional Sindical Unitaria Agropecuaria (FENSUAGRO-CUT) rural union. “Another particularity, in Colombia for example, is that rural women still have little formal education, because we have to take care of everything at home,” she told IPS. The participants in the fifth assembly stressed that on top of the household and care-giving tasks, women have to produce food for the family. “In Santiago del Estero, there are times when they have to go out to the corral to take care of the goats or cows. When the men leave (to find seasonal work in other provinces), women are left to run the household and work the land,” Carrizo said. “Women farmers aren’t recognised as workers. In my region (the Colombian department of Boyacá) we get up at 3:00 in the morning to milk the cows, clean the house, make breakfast for the farmhands, take care of our own production, and our days are just so full of work,” Molina said. Santos also stressed that gender problems that are common among women in urban areas are even worse for rural women. She mentioned domestic violence, for example, which is a more difficult problem because the special police units for women are in the cities. In Colombia, said Molina, “there is no one to guarantee women the right to leave the place where they have been the victims of violence,” which prevents them from reporting domestic abuse. “The neighbours say ‘I’m not getting involved, problems between a couple are worked out in bed’. But when things reach an extreme, the community goes to the funeral and holds a mass to save the soul of the poor husband. It’s sad but true,” she said. The question is how to tackle these problems, which are often just seen as a normal part of life. “Rural women in Colombia, for example, don’t identify as feminists. What makes it hard for them to understand (urban women) is a question of class, that they have certain conveniences and activities that are different from their lives,” Molina said.